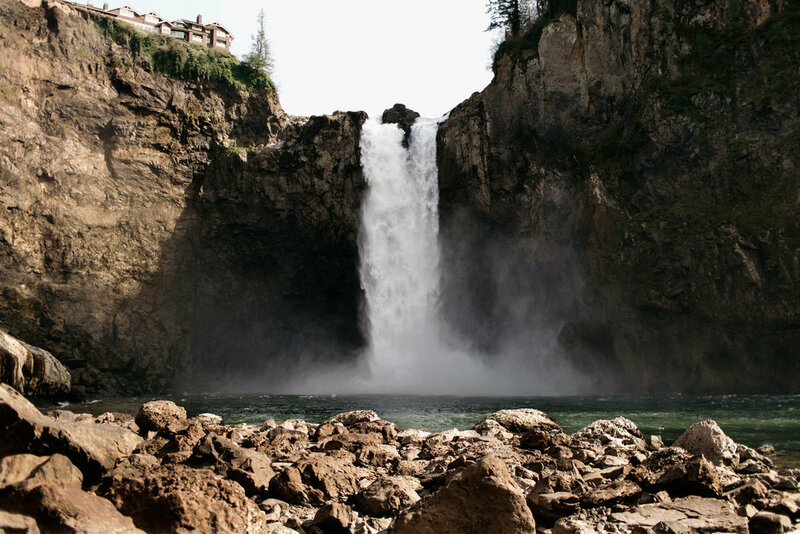 Snoqualmie Falls is one of the many treasures of Washington State. As a child, I'd marvel at the beauty of this waterfall and always wondered what it was like to be at bottom of it. 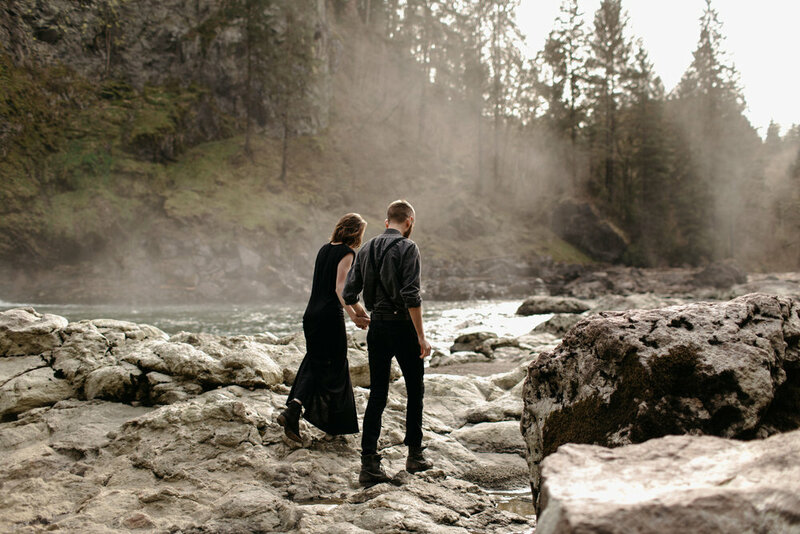 I got an amazing opportunity to photograph my friends, Danielle & Ben, and their wedding in Fall City and ventured at the bottom of the falls for some epic bride and groom portraits. Ever since then, I've been wanting to go back and Caroline & Sean were up for the task of doing their engagement session here. I brought my friends Rhys Logan and Kelsey Chance along to the shoot to get some help in the videography and styling field and they did an amazing job. 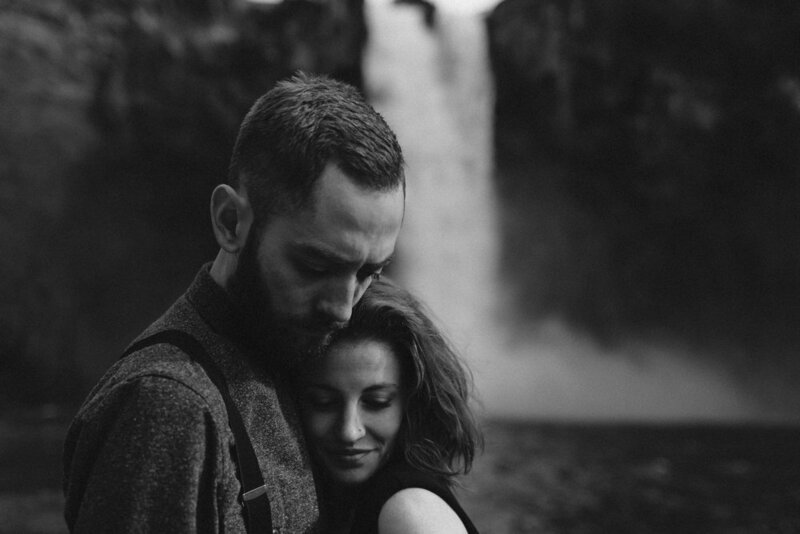 Caroline & Sean are one of the many amazing couples I get to work with this year and next year. We have a mutual friends in my connection with ODESZA and it was really great collaborating with them and my stylist, Kelsey Chance, for this shoot. Even before meeting them in person, I knew this shoot would go really well. It's an amazing feeling to have as a wedding photographer. Trust is always a big part of photography. 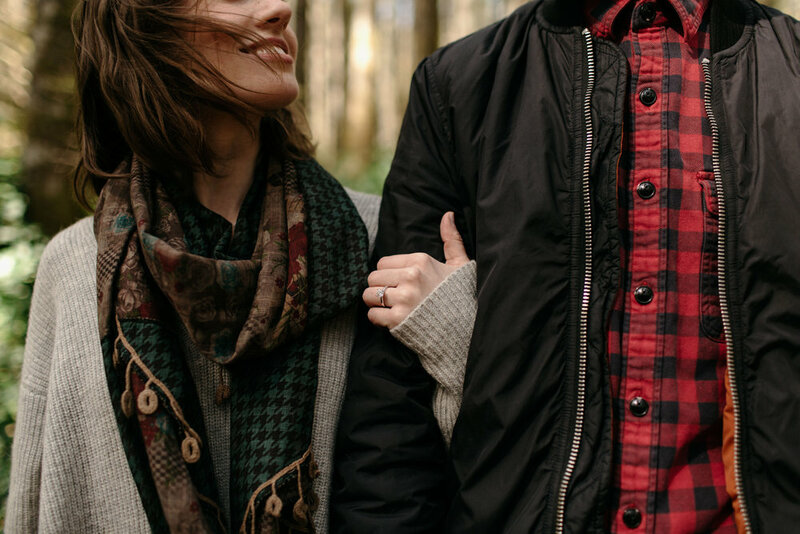 Especially when it comes to asking clients to take the time to go to these amazing locations, opening up to you almost immediately and trusting that you'll take great photos of them and who they are as a couple. It's one of the many responsibilities of a wedding photographer that I absolutely love.